The house, a fine though incomplete white stone building in which the steward of the estates lived from 1947 to 1966, is not now used for residential purposes. 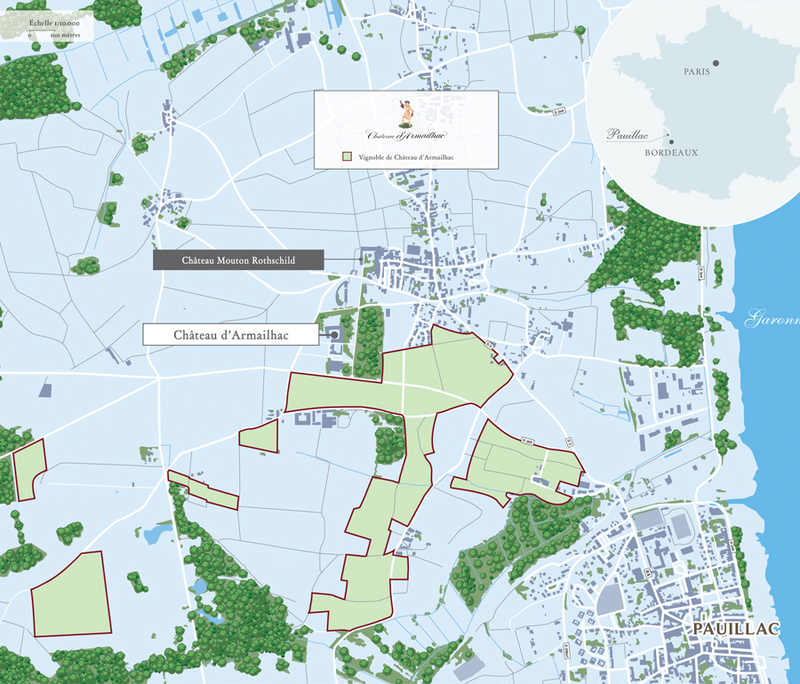 Its vast outbuildings house the technical and agricultural equipment needed to farm the vineyards belonging to the two châteaux. Château d’Armailhac is surrounded by a stately park. 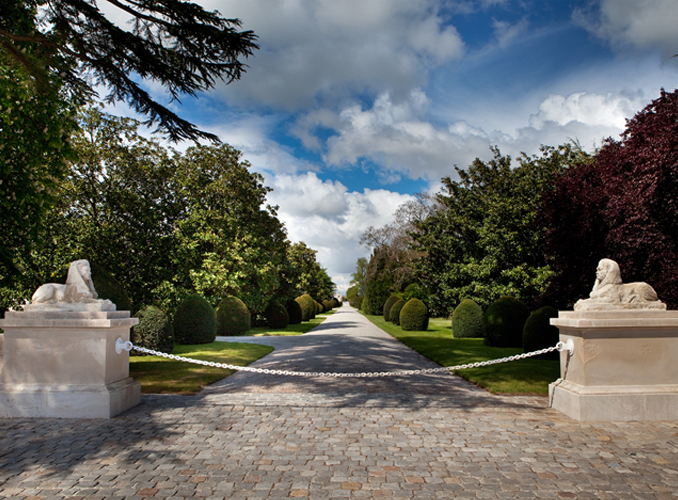 The central avenue, lined with yew trees, leads to Château Mouton Rothschild. 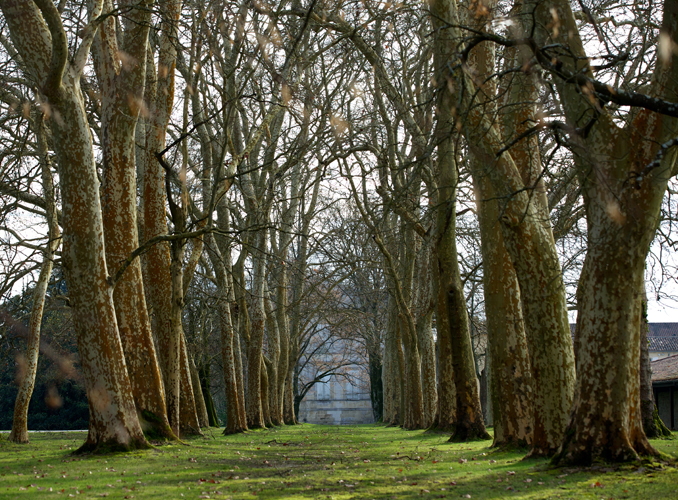 The central pathway of the park, leading to Château Mouton Rothschild. In the beautiful park of Château d’Armailhac. 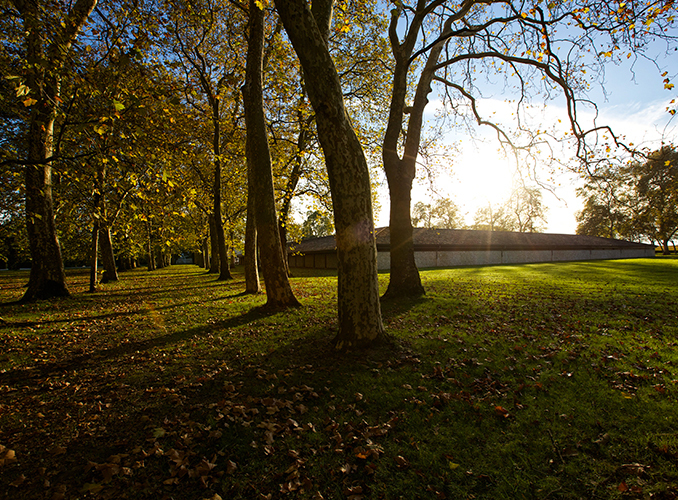 The majestic plane trees near the mansion.